Corfu lies on the western end of mainland Greece and is on the East side of Italy. These Ionian Islands are usually referred to as the “Seven Islands”, although it is actually a group of several larger islands and islets or smaller islands. 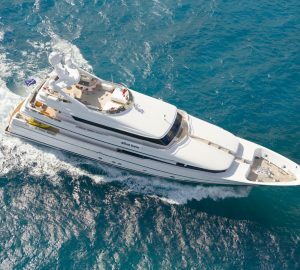 As with the other popular Greece yacht charter desitnations, the island of Corfu is awash with lush greenery and thriving wildlife and a Corfu yacht charter on a luxury crewed superyacht is certain to be a wonderful holiday experience. Corfu has everything that you would want to have from an ideal yacht charter holiday destination – fresh green island terrain, flat and calm seas and safe anchorages and hot weather – in the summer months. Corfu boasts of richer vegetation, more rains and wider areas of protected waters than any other yacht charter destination in this Greek region. Corfu yacht charter holiday has got what it takes to whet your appetite for that dream Mediterranean experience. 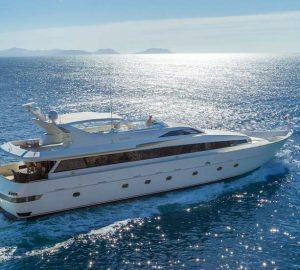 Yacht charter possibilities around Corfu are ideal for beginners and those who are spending their yacht charter holiday in Greece for the first time. It has all the right stuff in the right places and no unnecessary surprises. The Ionian sailing routes feature one of the safest routes within the region, and this means that less navigation is required when you set sail to these Ionian Islands on board your charter yacht. The prevailing climate in Corfu is typically Mediterranean – generally moderate with hot and dry summer months and relatively wet and mild winter months. The main temperature range is from a low 12 degrees Celsius to a high 30 degrees Celsius. There are about 20 of the smaller satellite islands around Corfu, and this island group offers a wide range of sailing possibilities. For those who are spending their Greece yacht charter holidays in Corfu for the first time, the important sailing destinations are the beautiful and lush islands of Mathraki, Erikoussa and Othoni, which are nestled along the northwestern region of Corfu. The islands of Corfu boast of an assortment of historical landmarks and archeological remnants of a rich ancient civilization. 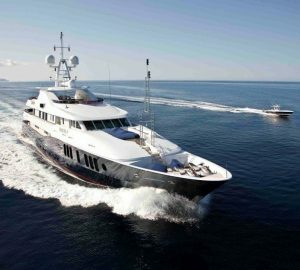 This is one of the major attractions of this popular yacht charter destination in Greece. 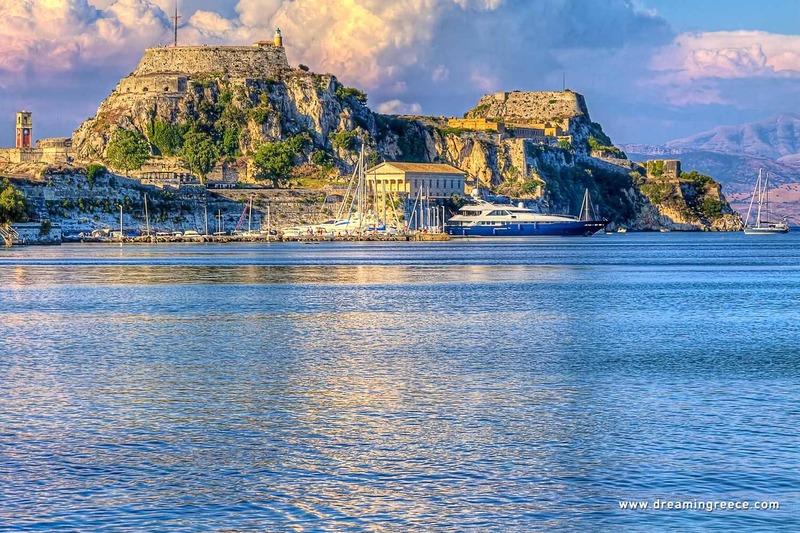 Notable sights to see and places to visit on board Greece charter yacht around Corfu islands include the ruins of Palaiopolis, which was an agora of ancient Corfu and the Virgin Mary monastery in Panagia, which was built during the 16th century. Other important places to visit in Corfu are the St. Michael and George palace in the town of Corfu, which is the home of the Asiatic Art Museum, the Christian Art Museum, the Public Library of Corfu and the Ionian Senate Archives. 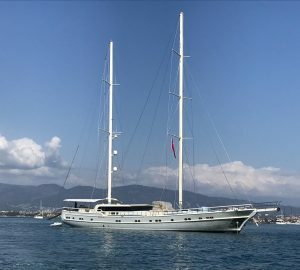 There are two private luxury yacht marinas that feature modern facilities and offer up-to-date services to yacht charter sailors and tourists that come in droves to Corfu, especially during the summer months. Marina Gouvia, which is located some 15-minute drive from the airport of Corfu as well as the main port, is the one that is most accessible either by ferry or by domestic and international flights. 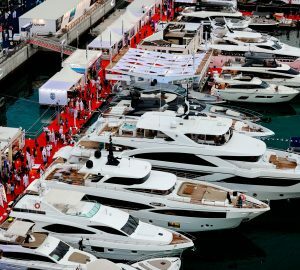 On the other hand, Marina Lefkas is just a short walk from the town’s main district and the fastest way to access the marina is by air, although it can also be reached if you travel by land, which is a 285-km drive from Athens, Greece. With all the sailing possibilities that it offers for your yacht charter holiday, Corfu would easily be your logical choice if you want to experience a truly authentic Mediterranean superyacht holiday. In close proximity to Corfu are a number of exciting sailing destination.